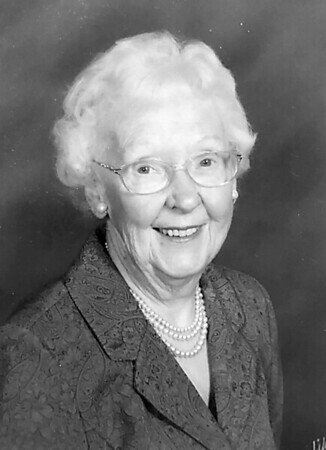 Esther L. Green, 92, a longtime resident of New Britain and Berlin, peacefully passed away at the Westview Health Care Center of Dayville, Conn., on Monday, March 25, 2019. Esther was born in New Britain, on March 20, 1927, a daughter to Gustav and Ellen Anderson. She was predeceased by her parents and two sisters, Margaret Nygren, and Ruth Nilson. Esther was raised in New Britain and graduated from New Britain High School in 1944. Shortly thereafter, Esther entered the Nursing Cadet Corps through the New Britain General Hospital program and graduated in 1947. She pursued a career in nursing at New Britain General Hospital. Esther married Richard H. Green (predeceased 2005) on July 17, 1948. Together, they built a life in New Britain and settled in to raise their family. Throughout her life, she was a dedicated, lifelong member of the Bethany Covenant Church (Berlin). She was active in Women’s Ministries and had a heart for missions, sewing hundreds of “ditty bags” to support the New England Seafarers Mission. She also volunteered for several years at The Friendship Service Center in New Britain. Esther leaves the world with a legacy of Christian faith, love, and virtue, exemplified through her positive and welcoming spirit, a spirit that embodied genuine interest in and concern for others, a spirit that touched deeply all those who knew her, especially her family. Esther is survived by her son, Thomas Green, and his wife, Susan, of Weddington, N.C.; her son, Peter Green, and his wife, Nancy, of Woodstock, Conn.; her daughter, Nancy (Green) Carlson and her husband, David, of Aurora, Ohio. She is a beloved grandmother of 10 grandchildren, Laura, Lisa, Peter, Emily, Hannah (predeceased), Megan, Ingrid, Greta, Steig, and Elsa; a loving great-grandmother to 13 great-grandchildren, Emily, Peter, Nathan, Oliver, Willa, Fitz, Ava, Henry, George, Gunner, Odin, Axel, and Linnea. She is a loving aunt and great-aunt to an extended family of nieces and nephews and their children. A memorial service will be held at Bethany Covenant Church, 785 Mill St., Berlin, at 11 a.m. on Saturday, May 4, 2019. A reception will immediately follow the service. In lieu of flowers, family and friends are invited to make a donation in Esther’s memory to a charity of their choice. Posted in New Britain Herald, on Friday, 5 April 2019 19:17. Updated: Friday, 5 April 2019 19:20.